Week three of our Stewardship Season in Pewee Valley at the Presbyterian church. 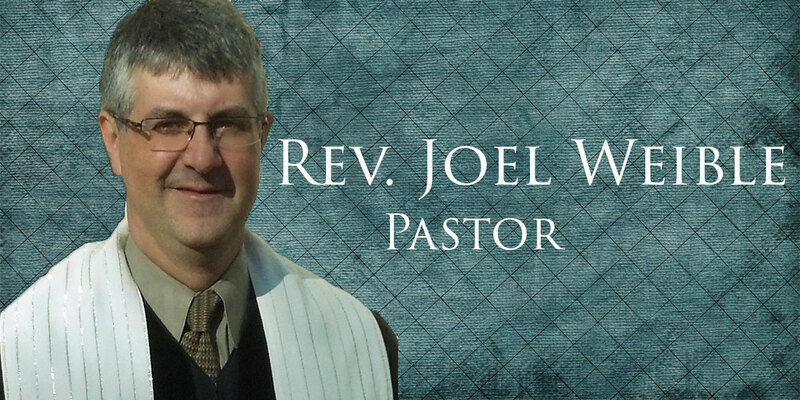 The words of the prophet Joel are setting the stage each week this year. It is here in abundance. All we need for the future of this congregation, this community. It’s all here. How much – in time, talents, and tithes – will we return to the community that we love? Last week, we explored our stewardship of time. You may recall: We’re all given the same amount of time (10,080 minutes in a week). How do you use these minutes? How many of these minutes are offered to your church community? Sixty minutes on Sunday morning for worship? One hundred and thirty-five for some, counting Sunday School and coffee in-between? How much more? And more importantly than “how many” minutes are we offering, how do we understand their use? Just to “get things done?” Or are we using them to express who we are, here and in our lives beyond this place? The later is a deeper understanding of our stewardship of the time we are given. So, this week, we engage the stewardship of our talents, And while our ‘time” is pretty much or own, when we talk about our “talents,” the gifts we have ben given to share with our community, we need to speak not only of our own talents and the good use of them, but of how we nurture and nourish the gifts of others. It all begins in relationship. Listen for the Word of God. Read 1 Corinthians 12:4-11. The Word of God. Thanks be to God. From the beginning, God called us into partnership. In Genesis, God takes the human creation and puts them in the garden to till and keep it. God created partners to make creation what God designed it to be. In our Gospels, Jesus calls the church into being, proclaiming that “wherever two or more are gathered in my name,” God is there. Can you imagine playing tennis by yourself? And try as you might, you will never be able to sing a duet alone? Likewise, we cannot “be” church without other, without at least one other! We have no church to offer our time and talents to unless we come seeking God with one another and in one another. In Paul’s letter to the Corinthians, he realizes that either this community in Corinth has forgotten the principle of unity of the body of Christ, or they have never grasped it. What about us? As God unites stewards into one body, Paul reminds us, we stewards each have a gift or two to offer. Christian Education, Youth Ministry, our Child Development Center; Worship, Music, Member Development and Congregational Care; Finance, Property, and Mission. This is the organizational structure for our community, these are the ministries that provide the opportunities for each one of us to use one or more of our talents. On a scale of 1 to 10, with one being the smallest degree and ten the greatest, which one of our Ministry Teams makes your heart sing? Which one of these, or “ones of these,” energizes and stimulates you and your imagination? Christian Education, Youth Ministry, our Child Development Center; Worship, Music, Member Development and Congregational Care; Finance, Property, and Mission. “There are a variety of gifts, of services, and of activities,” Paul writes, and we need them all, but in order to be good stewards of the gifts God has blessed us with as individuals, we need to get a sense of which of those gifts are “activated” within us by the Spirit of God for service in the church and beyond. If you are good at working with people, then Team ministry may call you. If you have a passion for environmental and ecological activities, then we have some incredibly beautiful acreage that you can nurture in growth. If artistic and creative activities, such as music, literature, or poetry beckons to you, then perhaps offering your talents to our Music Ministry, our Worship and Spiritual Life, or our Educational ministries is your call. Does technology make your heart sing? Boy, have we got a call for you! From website updating and upkeep to phone systems and networking we are striving to get out of the 20th century and into the new one! Does public speaking stimulate you? Worship leaders and Children’s Sermon leaders may be calling you. How about organizing and managing people, activities and time? Youth group advisors and organizers, fellowship events, and planning groups are waiting for you. That’s only the beginning of the possibilities: Finance and money management, campus planning, Fish Fry’s and Craft Festivals, Teaching and Child Development Center “angels.” Your passions can be shared and expressed here in one or more of the ministry opportunities available. And if, by some chance, we don’t’ have a ministry that matches your passion, then let’s get it going! The gifts within this community are distributed among us differently. This means we can never be homogenous. The church is to be made up of various individuals engaging different gifts and ministries all for the common good. The creative imagination of God is so many-faceted that God’s power finds expression in the explosion of our diversity! The gifts within this community are distributed among us in abundance. I said it two weeks ago, as we began our Stewardship Season together, and I’ll say it again every week. I believe all the “talents” we need to fulfill our ministries is already here. Out task is to discern them and to activate them. As we claim our own “calls” and identify those in others, we become good stewards of our gifts from God. There are varieties of gifts, but the same Spirit … There are varieties of services, but the same Lord … There are varieties of activities, but the same God who activates them all of them … in everyone. May we be good stewards of those talents as we identify and engage them for the life and love of our community in the year ahead.